Health information technology degree programs are currently shaping the face of how to care for patients in hospitals. In order to treat you effectively, a doctor, nurse or specialist needs information about you. That information might come from your own MD or from the nurse who has just examined you. It needs to collected, stored, transmitted and read effectively in order for you to receive the correct treatment. The study of this process forms the content of health informatics or health information technology. There is need for many more students to take health information technology programs so as to ensure that important data in hospitals and medical facilities are properly handled. This degree paves the way for getting adequate skills to allow for vital data to be well maintained for ease in accessibility, sourcing, security and accuracy. This page contains more details and lists schools where you can take these programs online. Programs with many titles can come under the heading “health information technology”, so you might also like to check out these pages: Bioinformatics, Medical Informatics, and Nursing Informatics. What do the health information technology programs cover? The advancement of technological innovations has seen many hospitals and medical facilities going digital with their overall data administration. For increased efficiency, the old traditional paper charts are now being converted into digital forms to make the handling of patient records much easy and manageable. 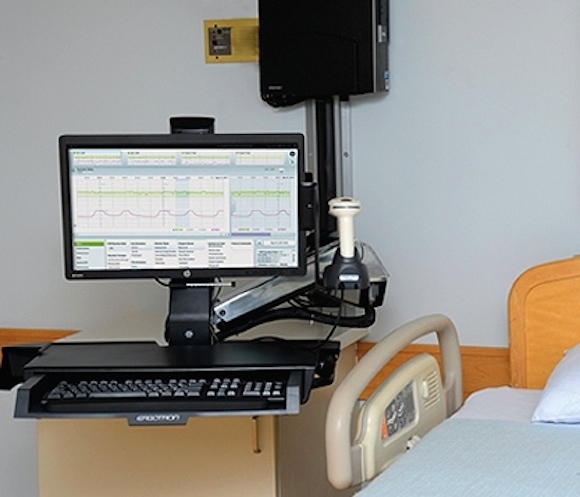 In health information technology programs, students have the opportunity to learn viable means of doing this and becoming possible hospital employees in the future. When you take a degree in health information technology, you will be taught several ways of taking care of patient documents, interpretation, transfers and security legal requirements and ethics. You will also be able to know how to use several computer software and hardware for digitizing records in the hospital. For you to pursue one of these programs, you may need to first be equipped with courses such as medical records keeping, medical insurance coding, associates degree in medical terminologies or any other relevant fields. There is so much need to change how hospital medical data is handled particularly touching on patients. Errors need to be avoided at all costs, making the students with a health information technology qualification great assets, especially in relation to automating the hospital data management systems. You can get very reasonable salaries in the field of medical informatics. There is a considerable range depending on the level of qualification and specialism. The US Bureau of Labor Statistics ranks the earnings for records personnel in the medical field to be above $30,000, whilst the median annual salary for computer database administrators was $67,250 in 2007. There is a continued rise in the need for database professionals and many more persons with health information technology certification who can handle important data electronically for the medical sector. With changing from paper work to digital formats, this field keeps growing giving chance to those who take up these courses to get employment in many of the available medical institutions and hospitals around the globe. It is also useless to mention that the remuneration packages are equally worthwhile even though the rates may vary depending on a number of factors. With the need to have more organized data and digitized records, those who choose a health information technology program are bound to help hospitals to achieve this objective more professionally. As a medical data technician, you will be able to ensure that patient medical data are ethically and properly handled and interpreted for better patient care. There is so much that you can achieve with this course. If you are interested in the medical field and would like to see important data being handled more efficiently and professionally, then you need to apply for degrees from recognized health information technology schools.